A canoe, a cotton tent, blankets and rations; those were the accessories of the first camper as he set out on his trip through England at the beginning of the 20th century. This man was Thomas Holding, and he was an inspiration to the Dutch tailor Carl Denig who heard of Holding’s camping adventures in London. Denig made his own tent and went camping on the Isle of Wight. When he returned to the Netherlands people loved his stories, and so Denig had the idea to start producing tents instead of clothes. Until that time, camping had been the privilege of boy scouts, groups of young people in organised contexts and soldiers. Only the lucky few who could afford camping equipment could enjoy the countryside from a tent. Camping was seen as a sport. After the Second World War this changed, and the Netherlands became a camping nation. The government thought that people needed fresh air and peace and quiet for a healthy mind and a sound body. Tents became cheaper and camping became more and more popular. In the 60s people would be piled up against each other on campsites in the dunes and would sing their hearts out around a campfire. 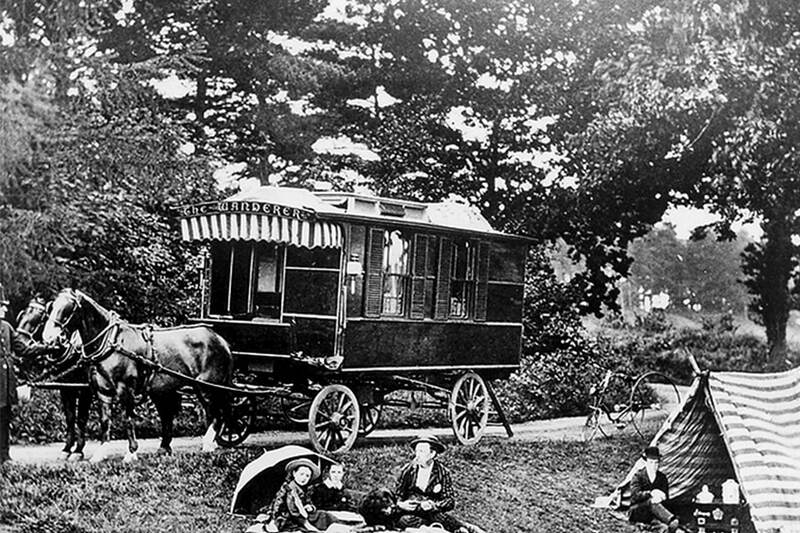 During that time the frame tent, and a little later the caravan, became more popular. Ed van Reine was a teacher, but also an avid camping enthusiast who took his family for a camping trip in the summer of 1965. Once they had arrived at their campsite in Spain, it turned out to be fully booked; a disappointment after such a long trip. While still there, Van Reine had the idea with two colleagues to create a booking system in the Netherlands for popular campsites in Europe. ‘Auto Camper Service International’, or ACSI, was born. The three of them selected 55 campsites. 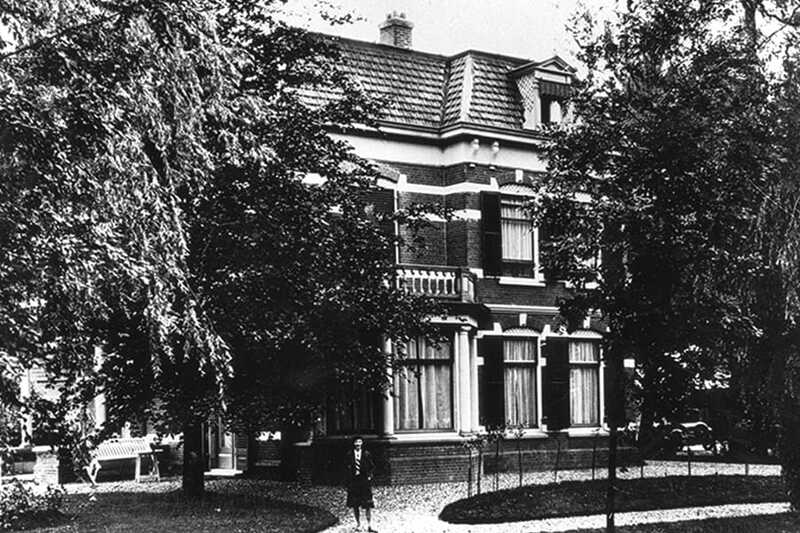 When they returned to the Netherlands they found background information on the campsites and published the collection, with the aim that no camping enthusiast need ever discover that their campsite was full upon arrival, as they would be able to book beforehand using the information from the guide. The booklet was on sale for 1 guilder. In a time where camping was growing to be the main national pastime, a booklet like that was in high demand. ACSI slowly grew into a company with a wide range of camping products. Through the years ACSI introduced ACSI camping trips, ACSI Club ID, Eurocampings and various new guides about specific regions or subjects. Currently more than 300 inspectors ensure that only high quality campsites appear in the ACSI guides. Selecting campsites started out as a hobby, but now it is also a huge undertaking. Brandishing product information, contracts, instructions, guides, maps, signs and flags, inspectors make their way to their inspection area every year. It is also thanks to them that ACSI has grown to a European market leader in 50 years, selling 500,000 guides a year in 14 countries.